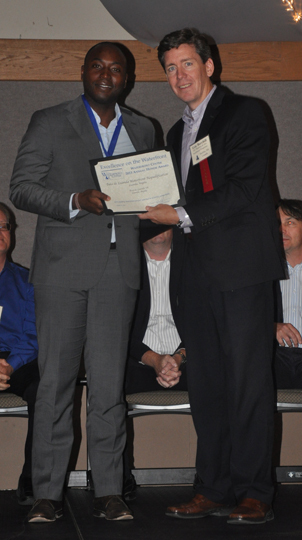 The 26th annual Excellence on the Waterfront Waterfront Center Jury convened in Cape May, N.J. on July 26 and 27, 2013, with four jurors arriving on July 25 to begin the review of submissions. There were 11 plans and 50 built projects in all. Ultimately two plans and seven built projects were selected for awards. The jury faced a challenge in choosing from a wide range of type, size and geography. 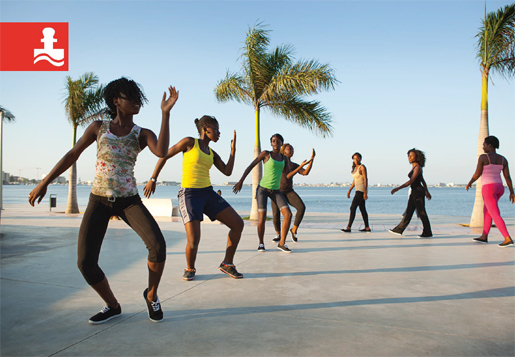 Entries included the first in the Waterfront Center Program from sub-Saharan Africa! This year's jury took an initiative which other juries may wish to emulate. The jurors were very taken with a design feature included in one project and gave it an award as a "design element", which is one of the categories used in the competition. Like its predecessors, the 2013 jury was multi-disciplinary and geographically diverse, with considerable harmony among views. The group was fairly quick to reach consensus, hard-working and very conscientious. The 2013 jury was very conscious of the messages it would be sending to communities and professionals. 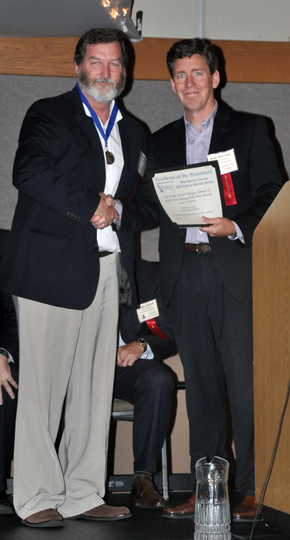 To that end, it was mindful of the desirability of having projects from a wide range of physical scales and host communities represented on the final Honor Awards list. The jury was pleased to note that a number of this year's winners are re-entries, which underscores the difficulty of selecting projects from the cadre of high quality applicants in any given year. Hence the Center encourages re-entries and allows resubmissions from three years past. 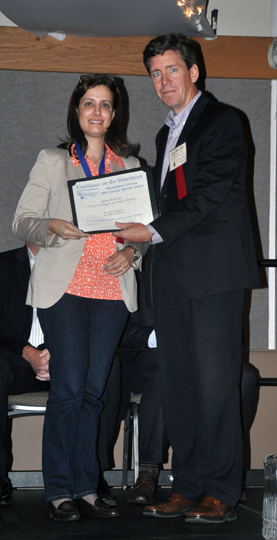 The 2013 jury encourages those not selected to resubmit their work for future consideration. 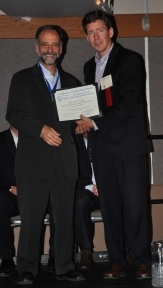 The entire results of the awards program since 1987 will be featured on a free searchable database on the Center's Web site. 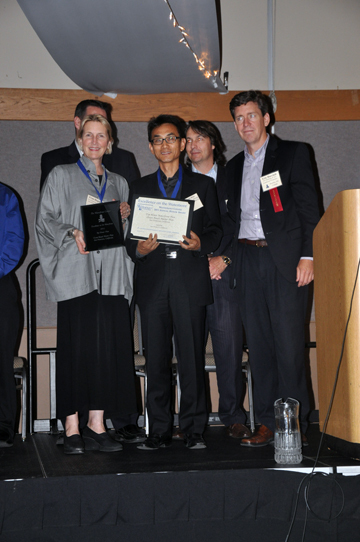 A prototype is available now, using the 2011 award projects as the sample. Each project has a description, multiple images, juror comments, contact information and cross-references by geography and project type. Once the 2013 results are included, the database will contain 380 projects, plans, citizen efforts and student work. It will comprise a unique and valuable resource for all involved in waterfront planning and development. The Waterfront Center expresses its appreciation to all the juries for their time, talent and willingness to undertake travel to Cape May, N.J. for the past 19 years - not the easiest place to get to, but a good "get away from it all" location for concentrated work. 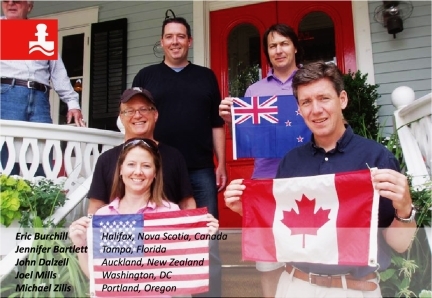 Left to right: Peter Kuttner, Cambridge, Massachusetts; Kwame Gomes, Baia de Luanda, Luanda, Angola; Vera Massango, Luanda, Angola; Margarida Quelhas, Oieras, Portugal; Bill Wenk, Denver, Colorado; John Dalzell, Auckland, New Zealand, juror; Mike Zilis, Portland, Oregon, juror; Keith Weaver, Baltimore, Maryland; John Shields, Boston, Massachusetts; Joel Mills, Washington, DC, juror; Fran Hegeler, San Francisco, California; Eric Burchill, Halifax, Nova Scotia, jury chair; Dina Aryan-Zahlan, San Pedro, California, Tony Keith, San Luis Obispo, California and Yunsoo Kim, San Francisco, California. Ocean Beach, at the western edge of San Francisco, offers three miles of wide sandy beach , the pounding Pacific Ocean, a wide promenade used by pedestrians and people on bicycles -- in short an incredible natural and recreational resource enjoyed by a wide range of users but sorely in need of new vision. The area is loved for its raw and open beauty. Community members needed improvements but did not want it to be "prettied up." 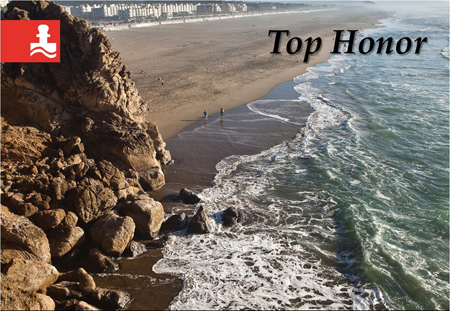 The Ocean Beach Master Plan's overall goal is succinctly put: "To knit the unique assets and experiences of Ocean Beach into a seamless and welcoming public landscape, planning for environmental conservation, sustainable infrastructure and long-term stewardship." Two aspects of this plan document stood out for the jury: one, it was seen as a model of clarity, legibility and conciseness. 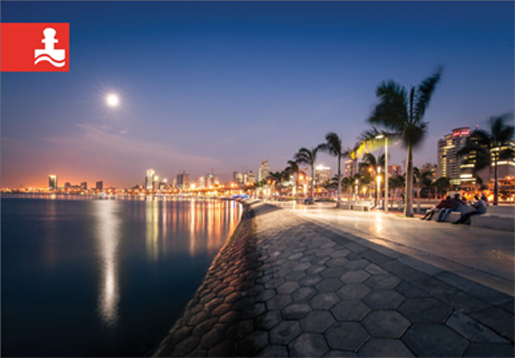 Two, in a substantive way, the plan tackles sea-level rising, an issue more plans of the future will have to address. Its suggested strategies are retreat, nourishment and coastal armoring. 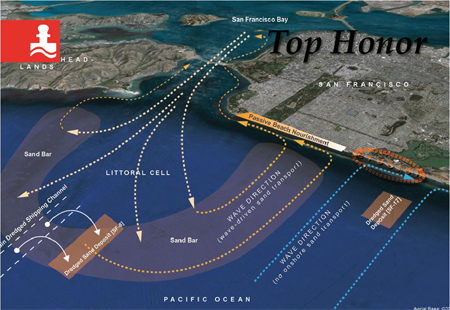 Dredging of the nearby Golden Gate shipping channel will provide a ready source of sand. Six key moves were laid out: reroute and reduce the width of the Great Highway; introduce a multipurpose coastal protection/restoration/ access system; restore a key section of dunes; improve bike and pedestrian access in the area around the famous Cliff House and create a better connection between Golden Gate Park and the beach. 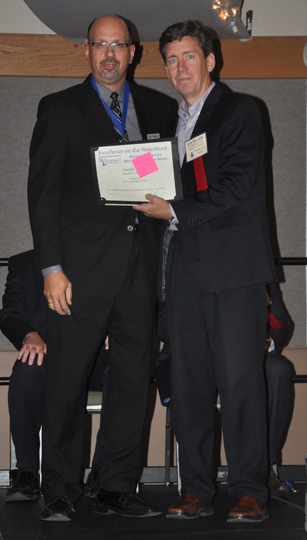 The jury also commended the community involvement in the planning process. The implementation aspect of the plan was strong, complicated by a multiplicity of jurisdictions. The graphics, photography and layout of the plan documents are first-rate. 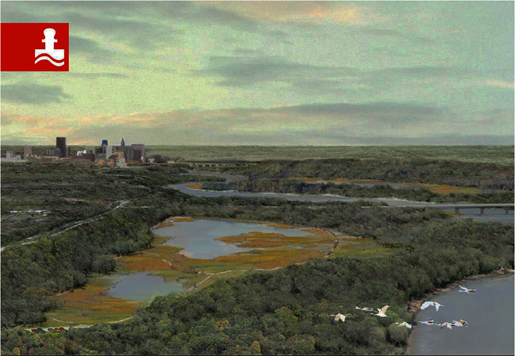 Great River Passage, Mississippi River Corridor Master Plan, Saint Paul, Minn.
Entrants: Bill Wenk, Wenk Associates, Denver Colorado, Don Ganje, Saint Paul Parks and Recreation Dept., Saint Paul, Minn.
commitment to implementing may of its ideas. Great River Passage has three major themes. First, make the river more natural, including restoration of streams and improvement of storm water quality. Second, make the riverside more urban, including a balance of river recreation opportunities and maintenance of the working waterfront. 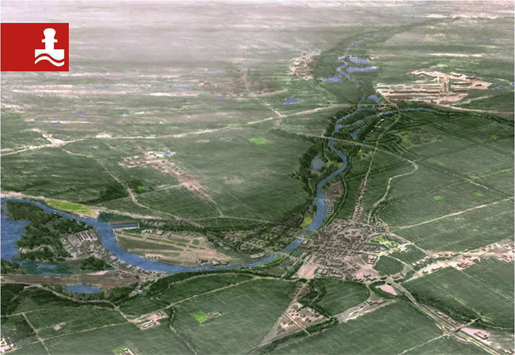 Third, make the river more connected to citywide networks via trails, parkways and river boulevards. The jury was impressed with the strong implementation strategies and with the legibility and clarity of the plan document. This project was felt to be THE project of the nation of Angola, in the eyes of one of the jurors who had spent time there. The degree of difficulty in accomplishing the makeover, given the economic and infrastructure challenges within the country, was of particular note. While the design may be less than technically ideal, it was felt to be a remarkable transformation for the community - a "beautiful combination", stated one juror. This public-private partnership took 30 months including washing and treating 600,000 tons of polluted silt and sand, and construction of a new wastewater system as part of the waterfront makeover. The result is a major cultural and recreational attraction for Luandans and an emblem of the transformative potential of waterfront projects around the globe. 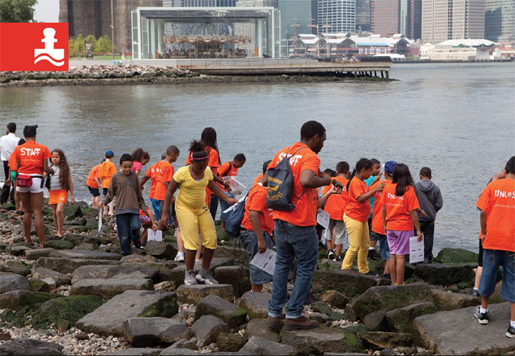 The outstanding achievement of Brooklyn Bridge Park is its access to the East River and the public's ability to physically reach the water after decades of being sealed off by docks and warehouses. 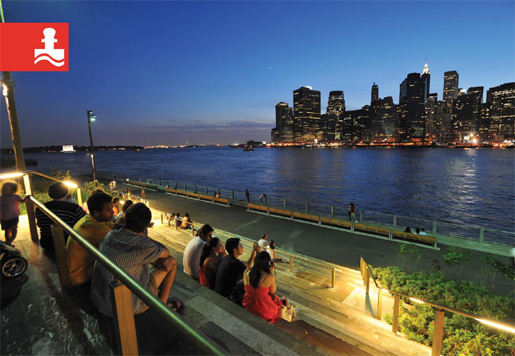 In general, Brooklyn Bridge Park is a great community gathering place. Curtis Hixon Park, Tampa, Fla.
A major intervention if there ever was one, this park was dubbed an "urban miracle" by its designer. As part of a major redevelopment of this urban precinct, the art museum and parking garage blocking access to the river were removed. The parking was placed underground and the museum was moved across the river. 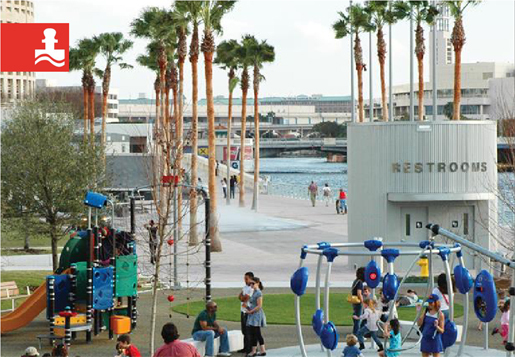 The result is a catalytic public space that has spurred new investment in downtown Tampa (an estimated 60 new restaurants! ), created a home to festivals and other programs, and linked trails along the river. There is a new identity for the Hillsborough River through Tampa and a recognition by citizens of the new park's role as a central public space. The jury liked the elegant detailing in the fountains and lighting. The park includes a pilot wastewater reclamation and treatment program. Ghost Fish 107, Port of Los Angeles, San Pedro, Calif. 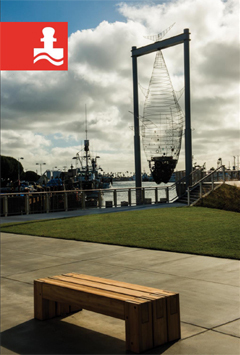 This simple, striking, and somewhat haunting piece of public art, stands 35 feet tall on a Port of Los Angeles dock. 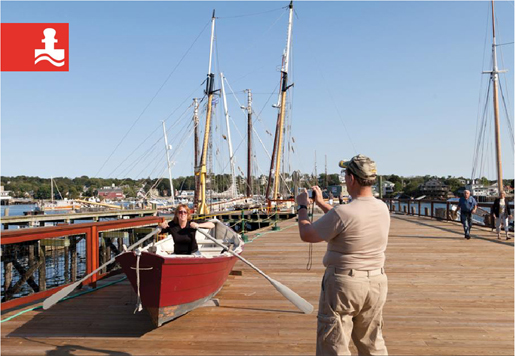 It tells an environmental story and celebrates the working waterfront. 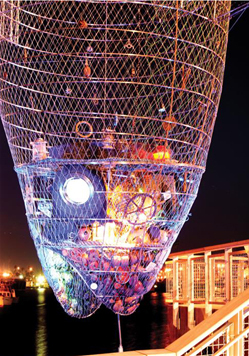 In the shape of a tuna, the stainless steel mesh sculpture recalls a major tuna fishing industry. Artifacts placed in the fish's head, collected in an artist and community collaboration, remind us of its demise. Ironically, the remaining fleets catch sardines, which are used as food for farm-raised tuna. This project stands out as conscious celebration of a historic and still active working waterfront. 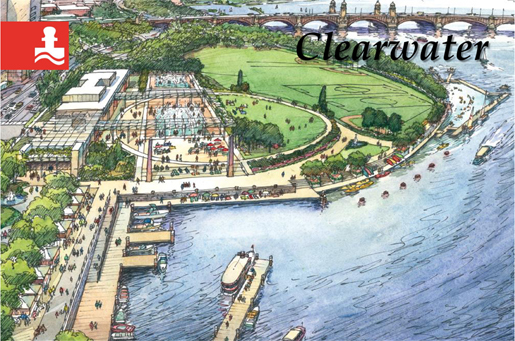 During several years of planning, citizens made clear they did not want a theme park nor a sanitized waterfront. 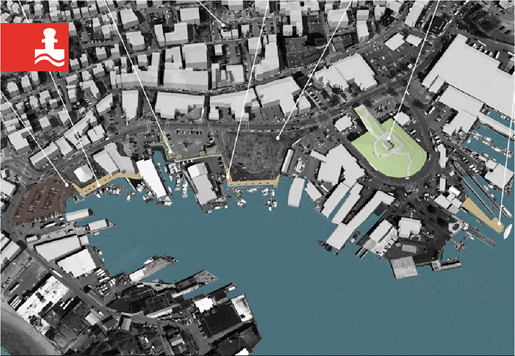 Instead, the result is an imaginative 1.2 mile interpretive walkway that connects the working harbor to nearby downtown, museums and other commercial areas. Harborfront, allows visitors to connect to the active harbor, including previously inaccessible wharves, by a walkway punctuated by 42 granite posts called "story moments". The story moments recall the town's history, from artists who worked here to the paint factory, to today's fishing fleet. The posts have smartphone capability allowing visitors to listen to stories, poems or sounds, and each has a symbol designed to allow for handrubbings. They can also send virtual vintage postcards to friends. A high degree of environmental sensitivity is evident throughout. 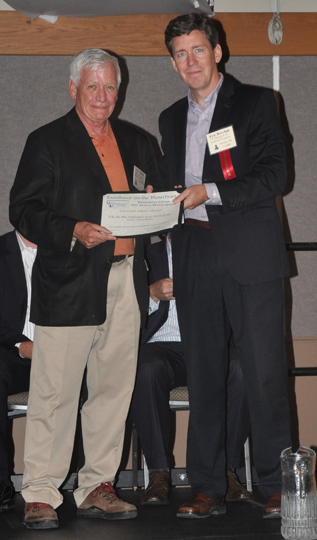 Entrants: Paul Kissinger, EDSA Inc., Fort Lauderdale, Fla, William Parrish, City of Owensboro, Ky. 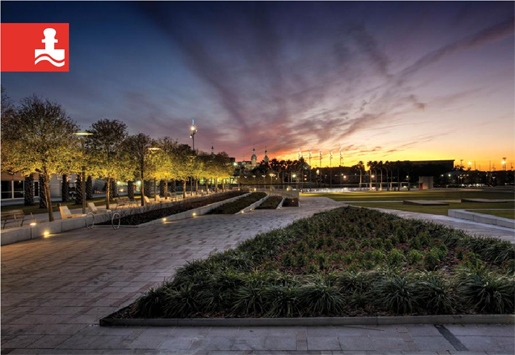 This five-acre public space, divided into three distinctive segments, is another of those transformations that has remade a community. 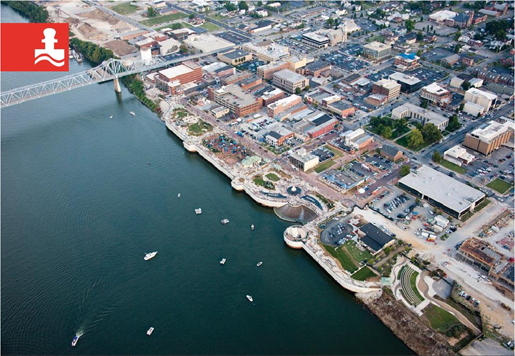 Lackluster would have been a kind term for the riverfront in Owensboro before work began. Now Smother's Park provides a focal point for all ages and allows the community of Owensboro to reach and enjoy the Ohio River. The jury was taken with the pedestrian-friendly street that runs along the river, describing it as a 'bold' move. They were also impressed with community involvement in the planning process, an effort that has resulted in strong community ownership and the raising of development funds ($70 million which is not an inconsiderable sum for a city of fewer than 100,000) during three separate mayoral administrations. 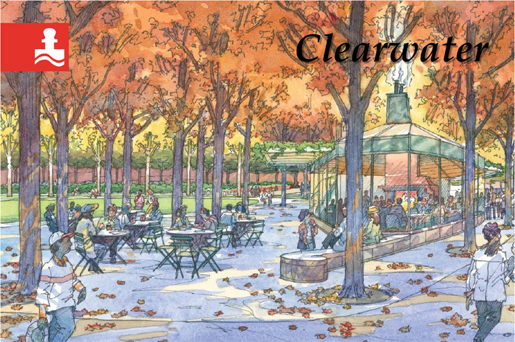 Park features include a signature fountain that reaches as high as 45 feet, and Lazy Dayz, a children's outdoor museum and playground planned in part by local elementary children. The jury recognizes the huge commitment Wuxi made to the major rejuvenation of this historic canal area in the heart of the city. The project includes canal water remediation, dock regeneration, canal building restoration, core road area and urban infrastructure reconstruction. In addition, adjacent residential and industrial areas were redeveloped. Abandoned factories have become museums. Boutique hotels, bars and a creative arts district now populate the area. The canal's history is nothing short of amazing. It is said to be 2,500 years old, the longest and oldest canal in the world. In ancient China it ranked with the Great Wall as one of the two greatest engineering projects. By the 1950's, however, it no longer prospered. Planning renewal began in 2001 with the major work achieved between 2008 and 2010. 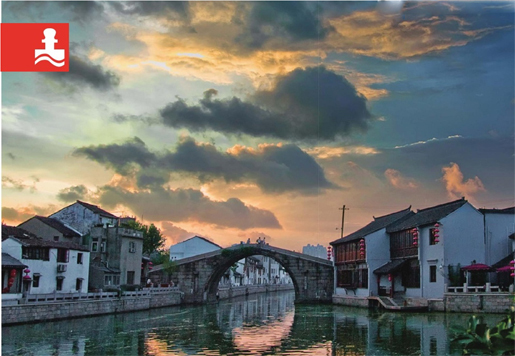 Today, the restored Wuxi Canal district is a major tourist destination in the city and in Jiangsu Province. 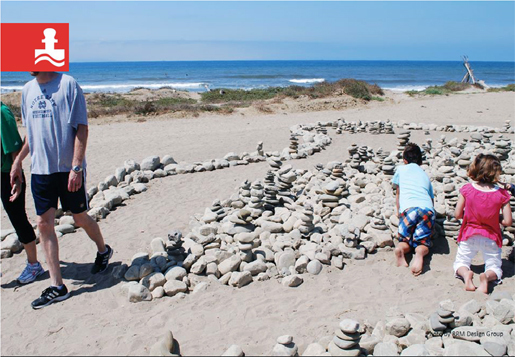 Cobble Garden, Surfer's Point, Managed Shoreline Retreat, Ventura, Calif.
Entrants: Tony Keith, RRM Design Group, San Luis Obispo, Calif, Rick Raives City of Ventura, Calif.
, a subterranean cobble berm). 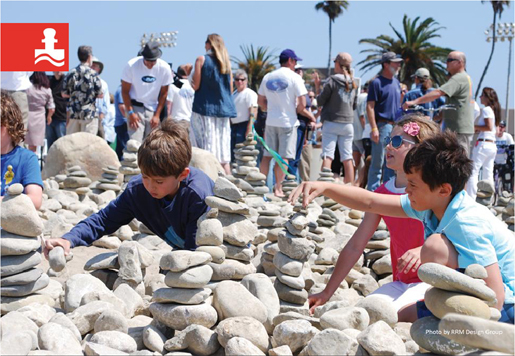 Kids of all ages are encouraged to become engaged with the stones - move them around, build sculptures and towers. It was clear to the jury that this design element was a big hit with children. Conservation Corps youth at risk program and took only 5 days to construct. It is designed as interactive play/art. Successful public art engages participants and changes their perception and experience of place through touch, observation, image, and activity. This installation is designed to change over time with interaction of passersby, building, toppling, and re-building the cobble towers. The exposed cobble sits atop a 40,000 yard ribbon of cobble along the coast providing natural protection from sea level rise. Esplanade 2020 is a handsome, readable and comprehensive vision for a key stretch of the Charles River in downtown Boston. 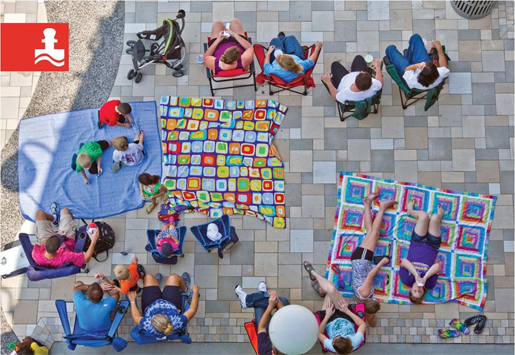 The effort grew from a realization by the Esplanade Association, the primary "friends group" for this important section of the riverfront, that the area looked tired, was underfunded and lacked a master plan. A call went out to Boston's design community to help, pro bono, prepare a plan, and the response was overwhelming. Architects, landscape architects, transportation engineers and planners, exhibit and way-finding experts, cost estimators, and economic consultants worked for nearly two years in more than '100 work sessions to create a 10O-page, large format, illustrated document. 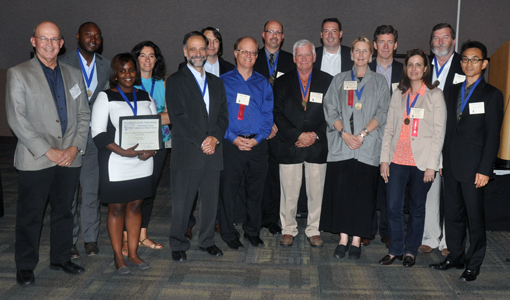 The Center and its jury salutes all those who gave their time, expertise and enthusiasm to this forward thinking plan.